Posted by Linda in Digital Marketing, Facebook for Business, Social Media with 0 comments. Are you looking for new ways to connect with Facebook fans? 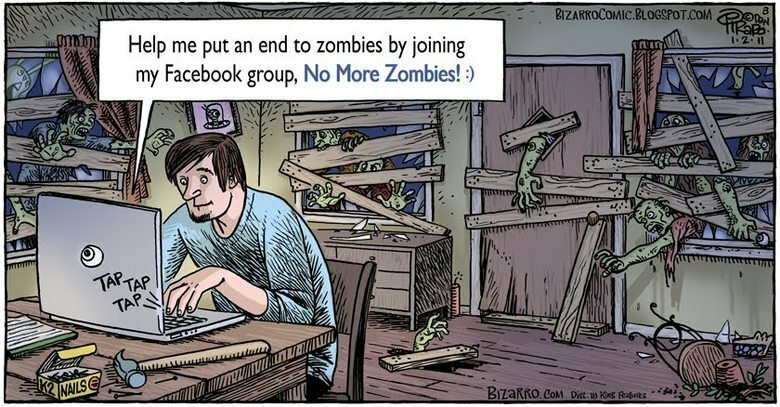 Have you considered starting a Facebook group? You may already use Facebook groups for networking, but you can also create your own Facebook groups to grow your business and nurture customer relationships. In this article you’ll discover three ways to use Facebook groups for your business. Discover how to use Facebook Groups for business. This Facebook group is made up of your most dedicated customers—people who believe in your company, products and vision. Brands like Canva and with strong, loyal fan groups call these ambassador groups or community groups. 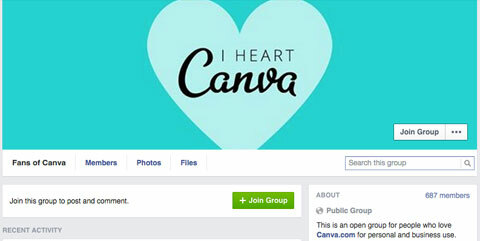 Canva has its own dedicated fan group. The dedicated fan group is the most important Facebook group you can create. It spreads positive buzz about your product, company or service. Make sure that you regularly pamper group members and make them feel special. You can do this in a variety of ways, from sending them t-shirts, to retweeting and sharing their content. Most importantly, genuinely thank these loyal fans on a regular basis. A handwritten note is often more appreciated than a monetary gift. Thank fans for helping you reach your goals and making your dream of growing your company come true. 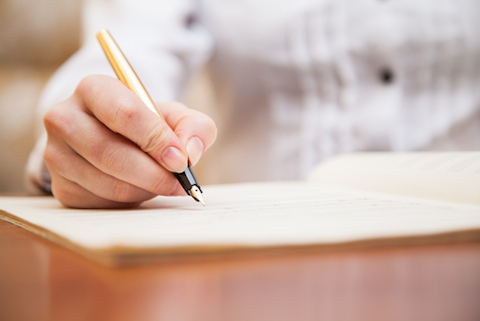 Consider thanking your loyal fans with a handwritten note. Image: Shutterstock. 1. Get feedback on new products. Do you have a new feature you want to offer, but need some feedback first? This group is the place to do it. If your company has an affiliate program, this group is a great place to begin recruiting affiliates. 3. Respond to online questions. How many times have you seen a question in an online forum or group, and thought your product or service would be the perfect solution? Of course, you could respond to these types of questions yourself, but it would be more effective for your dedicated fan group to respond. Use this technique sparingly. And to avoid spamming (especially if you have a large group), tag two or three people who are well-prepared to answer the question. Most people want to feel like they’re experts at something and enjoy sharing that knowledge with others. 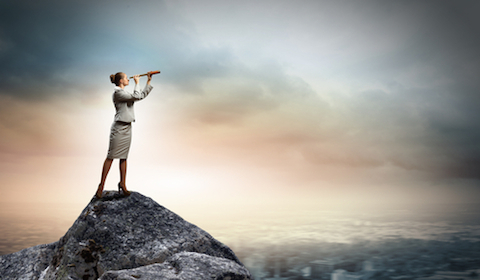 Good mentors canhelp get new customers over the stumbling block of using your product or service. Keep in mind that you may want to create a separate Facebook group for mentors. If your business wins an award or is mentioned in a popular publication, you want the whole world to know. You can call your friends and family, post it to your social accounts and tell everyone you meet, but the message may not travel far. Let your fans know of your business achievements and consider asking them to share the news. Image: Shutterstock. If your brand is mentioned in a popular publication, post a link to the article in your dedicated fan group. This is where your Facebook group comes in. Let your dedicated fans help spread the word about your brand’s achievement or recognition—let them be your megaphone. The second type of Facebook group is made up of your current customers. To build this community, invite people to join the minute they become paying customers. Let them know that you have an active Facebook community and want them to join it. Explain how the group works by using the About section, like Golden Tote does. For example, members connect, share ideas and strategies and support one another with whatever they’re working on. Be sure to provide a link to the group in the welcome email and on the signup page. Track how many customers have signed up and continue to invite those who have not yet joined. 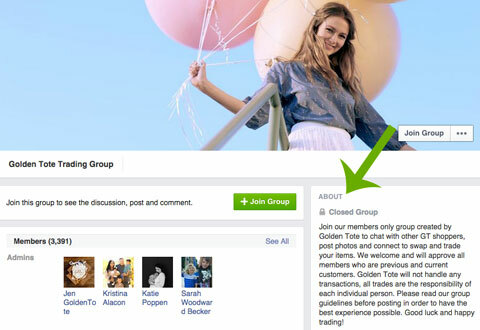 Golden Tote uses a Facebook Group to support its customers’ trading. 1. Be generous and foster an environment of giving. For example, offer hints, tips and tricks on how to use the lesser-known features of your product and inspire other members to share their insights. You may want to invite members of your dedicated fan group to join this group and share tips about how they get the most out of your product or service. Consider responding personally to complaints. For example, acknowledge and thank a fan who uncovered a bug in your product and mention that you’re working on a resolution. You don’t necessarily need to pander to the customer or offer a discount. You can just admit something was wrong, apologize and explain when it will be fixed. Respond personally to your customers. Respond as quickly as possible to questions and comments. If you don’t have an immediate answer, let customers know you’re looking into it and will get back to them soon. Give hints, tips and shortcuts regularly. Encourage others (particularly your dedicated fan group) to share ideas and strategies they’ve discovered. Offer members deals and promotions that aren’t listed on your public social profiles. Make them feel like they’re part of an exclusive club. If customers show a unique amount of dedication to the current customer group, or talk about your company frequently on social media, invite them to join the dedicated fan Facebook group as well. One of your most important tasks as a marketer is to develop customer personas—that is, identify the types of customers you have, what their worries and difficulties are and how your service or product is meeting their needs. If you have customer segments that are significantly different from one another, create Facebook groups for each segment. 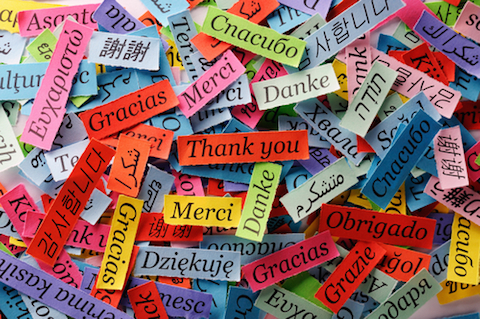 For example, consider creating a group based on the language your customers speak. Do you have an international audience? Segment your Facebook groups by language. Image: Shutterstock. Perhaps some of your dedicated fans aren’t interested in serving as a mentor or responding to questions about your products. In these cases, create individual groups to serve the needs of those members. Creating your own Facebook group is a great way to enhance customer loyalty and develop deeper customer relationships. Start a dedicated fan group, current customer group or segmented customer groups. What do you think? Have you created any Facebook groups? And if so, have they helped grow your business? Please share your thoughts in the comments below! Tips for using Facebook Groups for business.